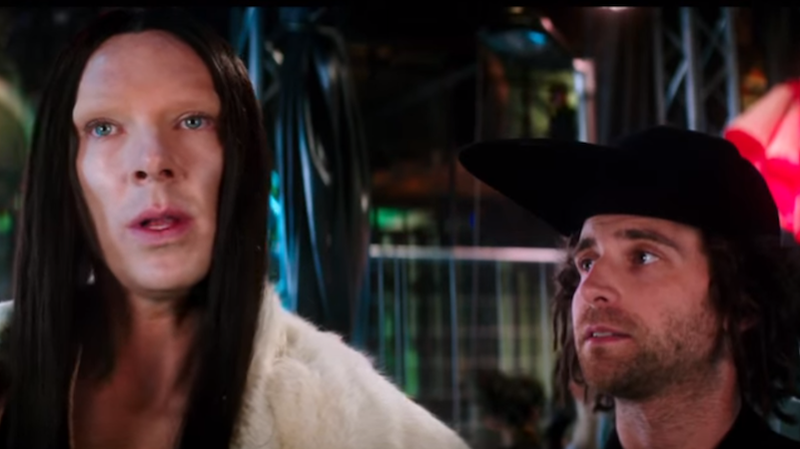 Zoolander 2 won’t be out in theaters until next year, but the film is already receiving backlash due to an androgynous character played by Benedict Cumberbatch. According to the Independent, the portrayal of Cumberbatch’s character has prompted a call for the film’s boycott, with users on social media labeling the film as transphobic. An online petition calls the character an “over-the-top, cartoonish mockery of androgyne/trans/non-binary individuals,” and the “modern equivalent of using blackface to represent a minority.” The petition is currently over 8,300 signatures, just a few hundred short of its 9,000 goal. The petition also suggests if the movie wanted to “provide social commentary on the presence of trans/androgyne individuals in the fashion industry,” they could have chosen to ask models such as Andreja Pejic, an Australian trans model, to appear in the film. “By hiring a cis actor to play a non-binary individual in a clearly negative way, they film endorses harmful and dangerous perceptions of the queer community at large,” it reads. Benedict Cumberbatch, Ben Stiller and Paramount have not yet commented on the accusations or the boycott. The film is out in theaters in February.